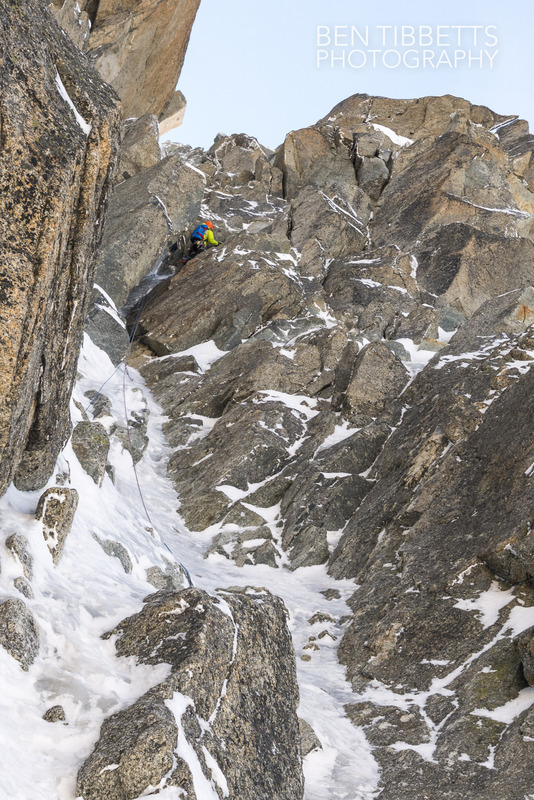 Having been working flat out all summer for my first season as an Aspirant Guide here in the Alps, I have had very little time to climb for myself. 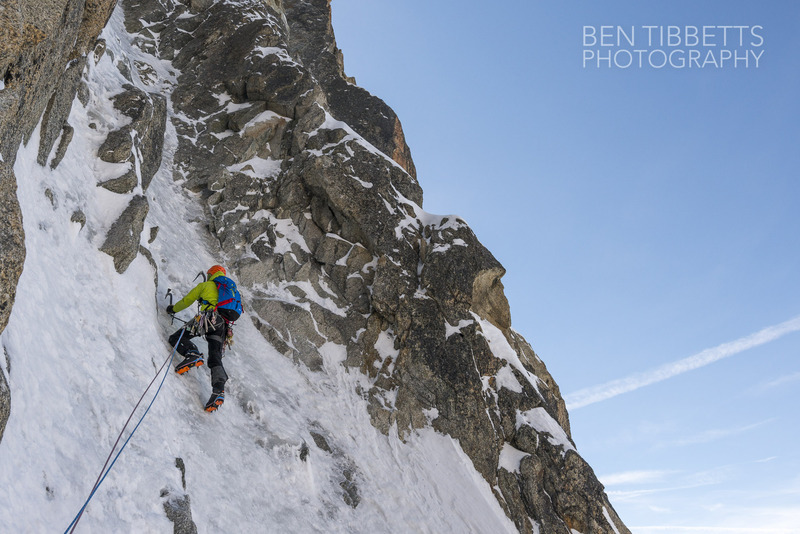 For the last 10 days since I finished working my legs have felt wrecked, but the conditions on the Jorasses and other big faces is so exceptional that I wanted to recover fast and go get something big and fun done! 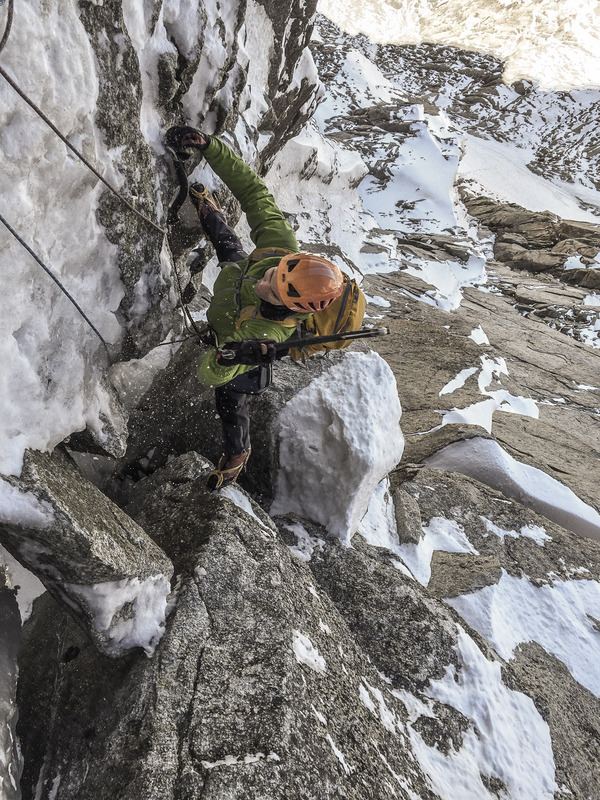 Misha Gopaul traversing into the main line of Profit Perroux. 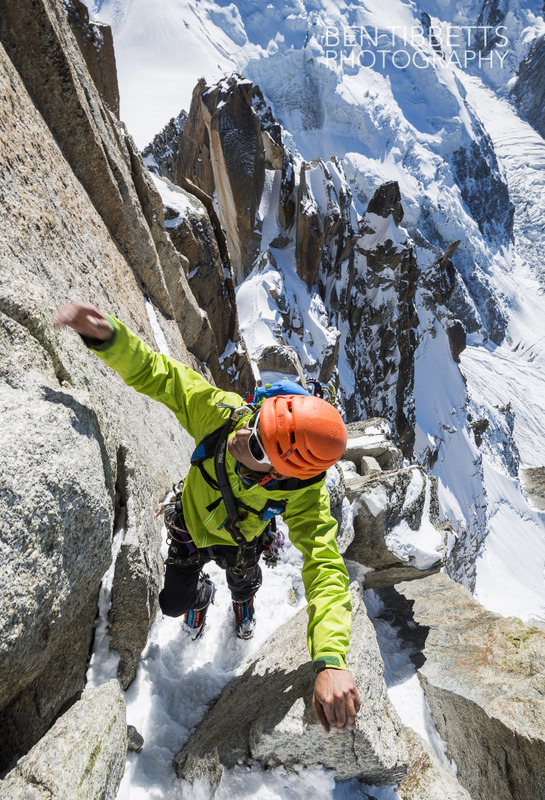 Rather than just jumping on a big face having not swung a tool for months Misha and I nipped up to the Aiguille du Midi to warm up on one of the easily accessible routes on the north side of the Arête des Cosmiques. 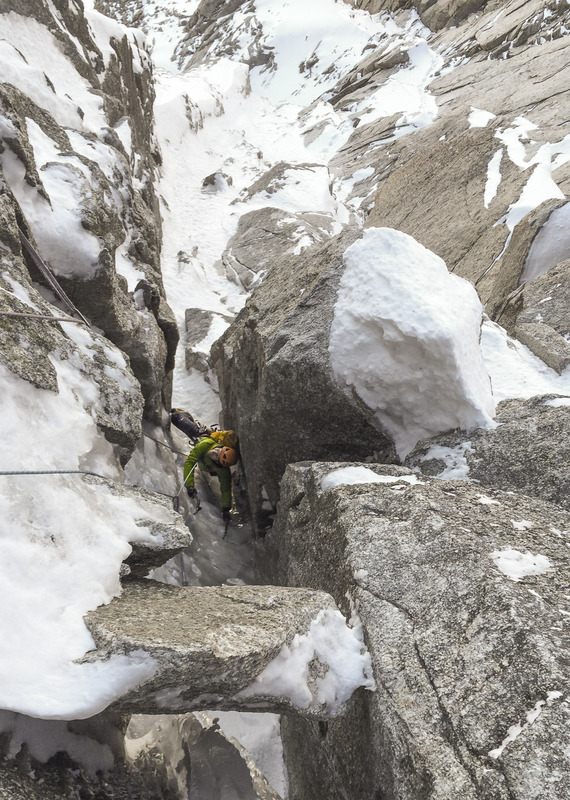 Having climbed the classic ‘Vent du Dragon’ last autumn – http://www.bentibbettsguiding.com/alpine-conditions-midi-tacul-2/, we opted for the sister route – ‘Goulotte Profit/Perroux’. Misha on the chimney pitch. 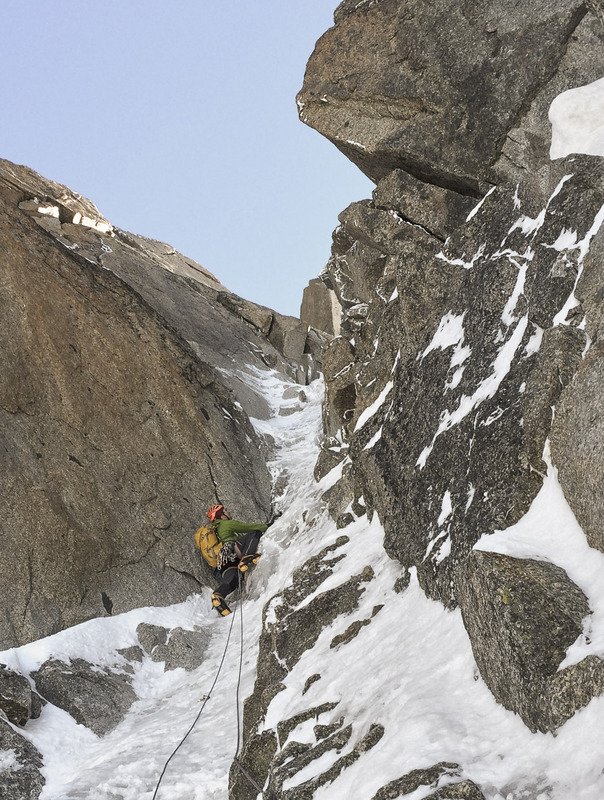 The route is in superb condition, with the two main pitches holding great ice – just hard enough to take screws, but soft enough for easy axe placements. 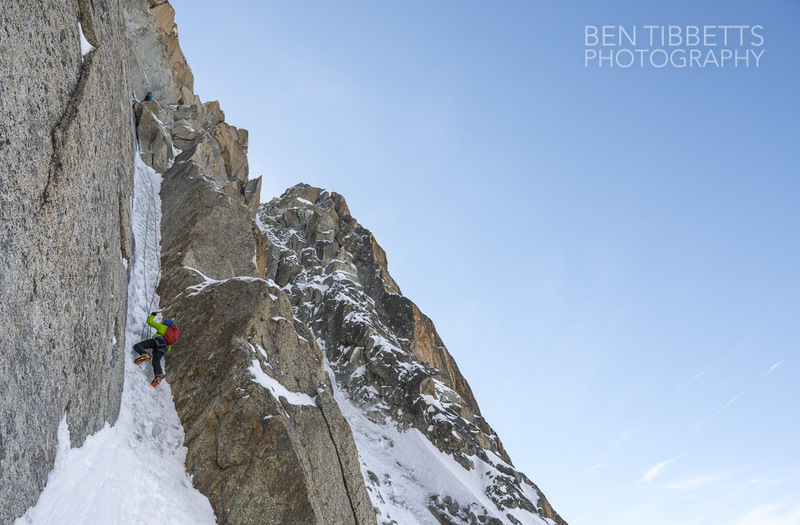 The main pitch takes a runnel of ice up into a chimney and breaks out right to a belay. At the moment there is ice right through the chimney and the whole affair is rather pleasant. 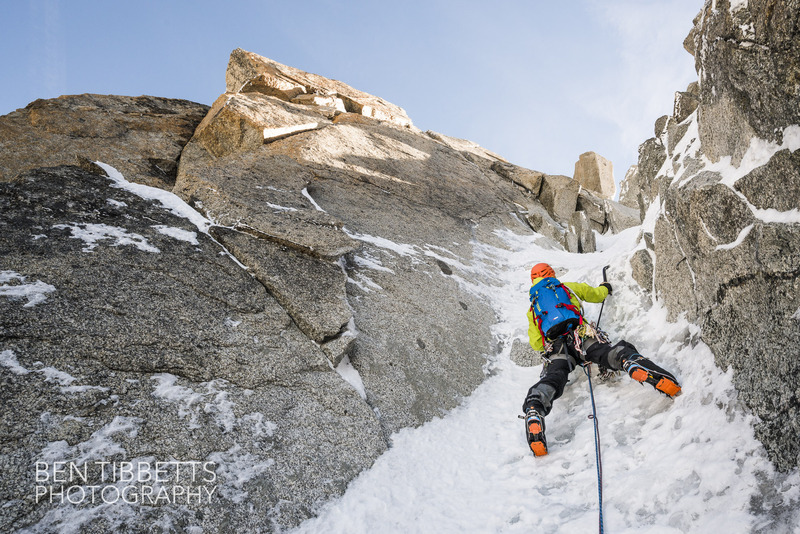 Misha coming up the couloir above the chimney. After the Chimney pitch there is another mellow pitch of ice to the arete, though I put a belay in half way to take some photos… they didn’t come out so well in the end as I didn’t set up the belay in the best place! 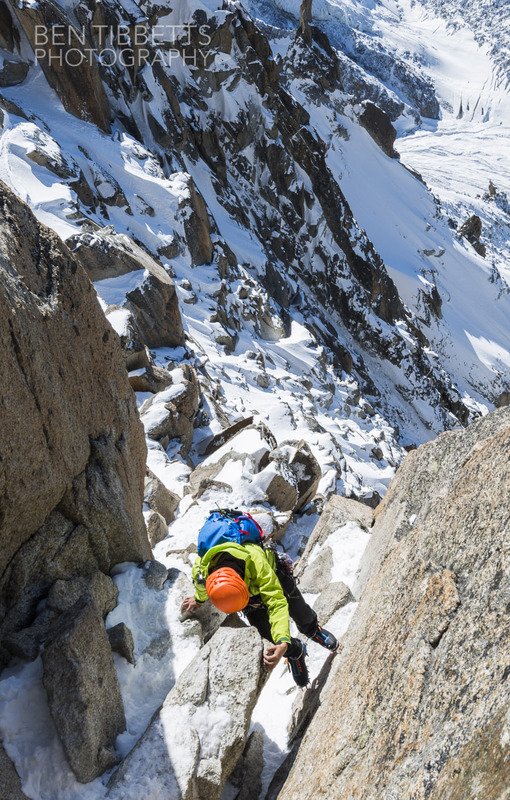 Misha on the last section before arriving on the Arete des Cosmiques. 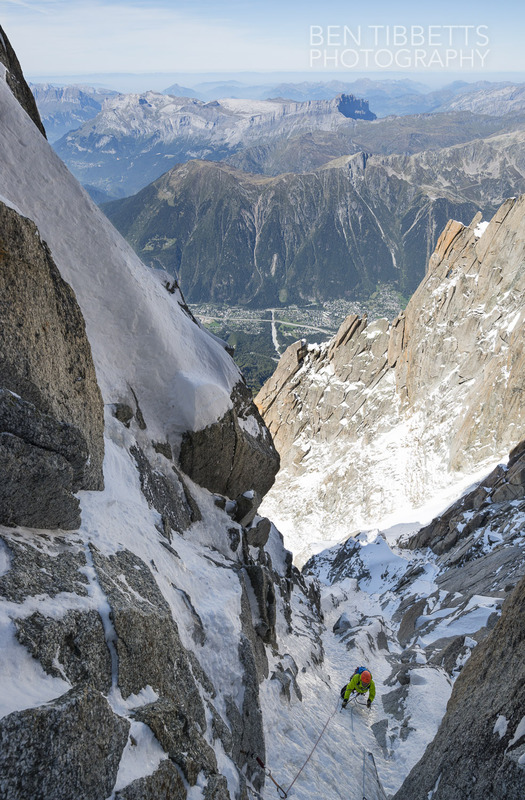 For a mellow day break this route has it all… easy access, a bit of acclimatisation for bigger routes, fun abseils, great climbing and a fun finish back up the Arete des Cosmiques to catch the lift down! 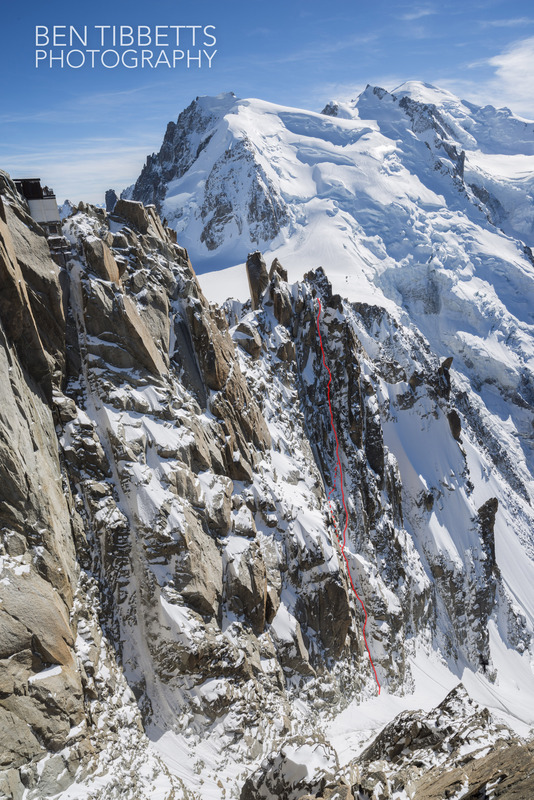 for the Vent du Dragon topo – this looks in great condition also! Great day out and good preparation for the next adventure. Thanks Misha!